Pure joy comes in regular and fat free. 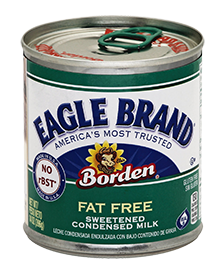 Our regular sweetened condensed milk now comes in both a can and the new easy-to-use-squeeze bottle. 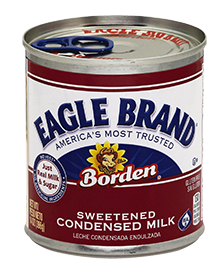 No matter what your recipe calls for, trust Eagle Brand® Sweetened Condensed Milk to add natural sweetness and a rich, decadent texture.